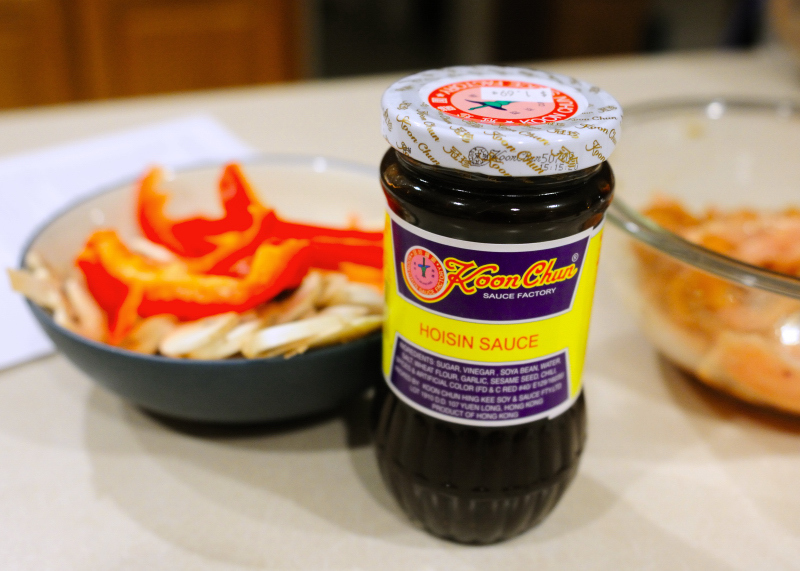 Tonight's dinner called for one of my favorite condiments - Hoisin Sauce. It is a barbecue-like sauce containing fermented soy, sugar, vinegar, garlic and chili. 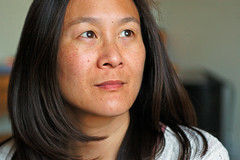 And this brand - Koon Chun - is the only one I will use. I remember my mother using this brand when I was growing up. I have to go to the Asian market to find it, but it's so worth it. Cut up 1lb chicken breast into thin strips. Marinate in 1 Tbsp of soy sauce, 1 tsp sugar. Cut up red pepper into strips, 1 carrot into thin julienne strips, chop up 2 green onions, chop 2-3 cloves of garlic. Slice 4-6oz mushrooms. Heat wok, add 2 Tbsp oil. Stir fry chicken in wok. Remove cooked chicken from wok. Add red pepper, carrot, mushrooms and stir fry for a couple minutes until softened, add green onions and garlic, cook another minute. Add cooked chicken, 2Tbsp hoisin sauce and 2Tbsp orange juice and cook for a couple more minutes. Serve with rice or in lettuce wraps. Sounds delicious! I've never had hoisin sauce. I'll have to look for it now.